Yay, another Supportive Saturday! Do you already have those Father's Day gifts ready for the special men in your lives? If not, don't worry, you may find some inspiration here in the following Etsy shops! I have only seen Modern Family a handful of times, but what I have seen, I love. This card features a Phil's-osophy lol. Tons of great cards like this one in the PopArtPress shop. Umm ok, if your man is into videogames like mine, this is PERFECT! You can even choose between a kid tee or a onesie. Decisions decisions! This awesome pair of shirts can be found in the zoeysattic Etsy shop! How cute is this? 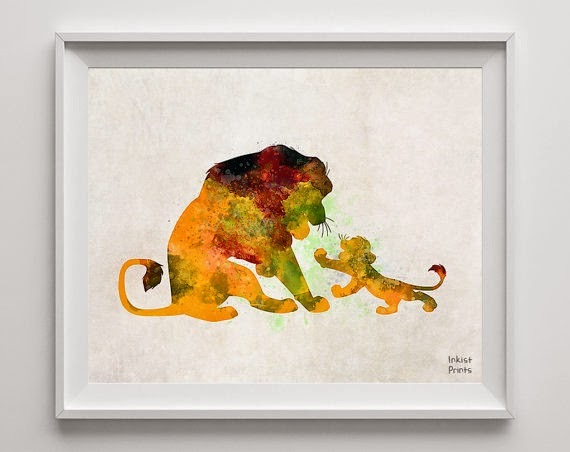 I love the classic story of a father's love in The Lion King. It's wonderfully made and available in the InkistPrints shop. You can also find other cute posters featuring other Disney characters! 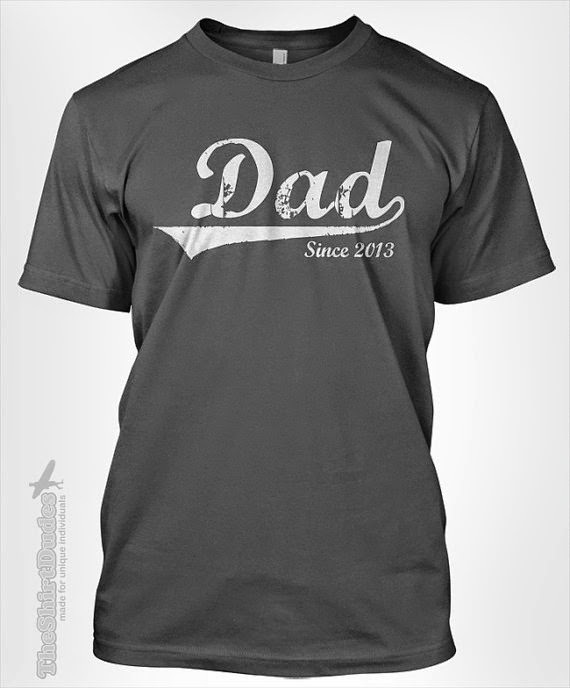 This shirt is perfect for any dad. It's simple yet special because of the year that you customize. Check this out in the TheShirtDudes Etsy shop along with other styles. Huge selection of fun shirts! So, I may or may not have made Justin Timberlake baby-daddy jokes while being pregnant with my last boy. It might have been something like, "Ohhh, Junior is kicking a lot right now because his future step-dad is playing on the radio." Luckily, my boyfriend enjoys my sense of humor but I hope he understands that Justin Timberlake is seriously on my freebie list if I ever got the chance lol! Anyway, these baby onesies are so great and fun. I'm sure I'm not the only woman that wants one of these! These and other boyband fun stuff can be found in the boybandsentiments shop! Go and gush over the finds there! Such great finds!! Love "Phil's-osophy". Some really fun ideas, thanks for sharing! Great finds! 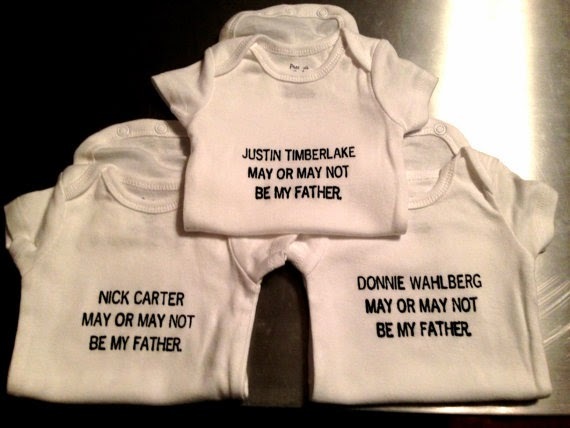 Love the Justin Timberlake onesies! These are all so cute and great ideas for Father's Day! Thanks! You have some great ideas here! 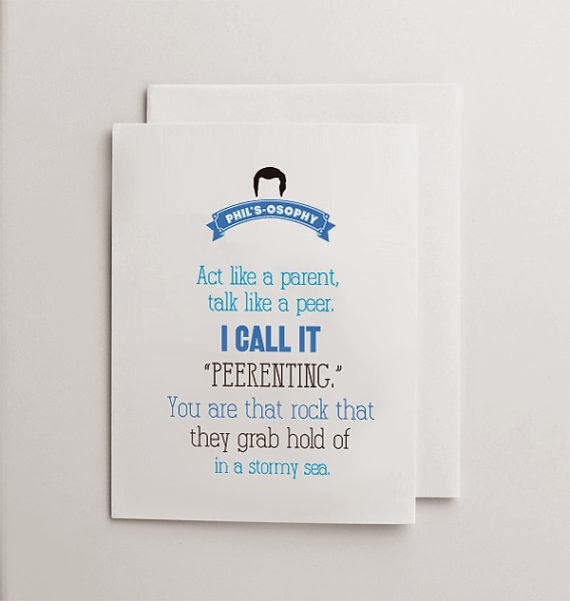 Modern Family is one of my favorites, and I love that Phil's-osophy card! I am a sucker for anything Etsy! I absolutely love that 'Dad since...' shirt! Lots of great ideas here!! Wonderful post! I love those gift ideas because dads are always difficult to shop for! What great finds! Love these! I LOVE Phil's-osophy! These are all great gift ideas! Love these ideas, I'm still working on our father's day gift! Fun ideas! I can never think of gifts for Father's Day. 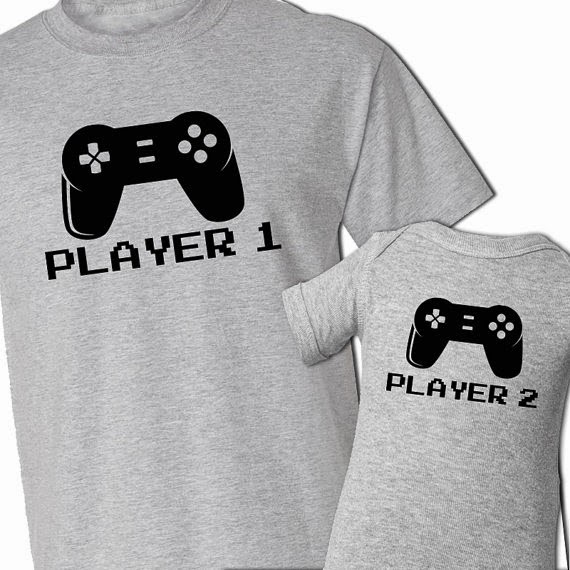 The player 1 player 2 shirts are perfect for my brother and my nephew! Thanks for sharing!